Oops it already started melting…..
To begin with, it’s my Better Half’s Birthday today , So Happy Birthday Dear Hubby (Even though you dislike publicly displaying affection and all those mushy sentiments..still….). Then comes the rantings (Ahh that’s my favorite part of blogging..lol). It is a long Weekend here in India and me and kiddie were really looking forward to celebrate this day, since from past many months we hardly had got some FAMILY TIME to relax and enjoy just being together, chilling out with our kid, having fun roaming around, going on vacation…the desires are innumerable, the wishes, unending. But its hard for me to understand why the corporate world need to be so ruthless and insensitive . Instead of enjoying this day with his family, parents, friends etc, he is working (though it being a National Holiday..Mahatma Gandhi’s Birthday ). Worse still…. rest of weekend and maybe next weekend too, for whatever reasons office people give. I longed to bake a cake, but since I am yet to decide upon Oven Vs Microwave, I hunted for a recipe to make a Cake using pressure cooker. I finally found one recipe, but it called for eggs. Nothing for Veg. option. So without having any other option(I was desperate to make one at home) I opted for Pillsbury Cooker cake mix and made the chocolate cake.It was good, came out well, tasted nice, but I really do not like to use such mixes for cooking anything.I love my food freshly made and not with anything having preservatives. But now that I am through with Baking ?(Huh?) , I guess I should wait till I got some Oven or find some good recipe for COOKER CAKES from scratch before baking another one. Ok, I know you just want me to switch over to the recipe, so without annoying you anymore here is the Kesar Pista Kulfi , pure , fresh and pleasantly sweet. The recipe is adapted from here and I hardly made any changes, except that I had less pistachios in my pantry , so used whatever I had instead of 1/4 cup as mentioned in the original recipe.Also I guess I added more than required saffron, since the colour looked pale while cooking.But after setting, it turned out to be Deep Yellow, but Who is complaining ? It tasted just perfect.The texture was smooth and creamy and the taste….Yummm. Also I didn’t had any Popsicle so I went ahead and freezed the mixture in a plastic airtight container. 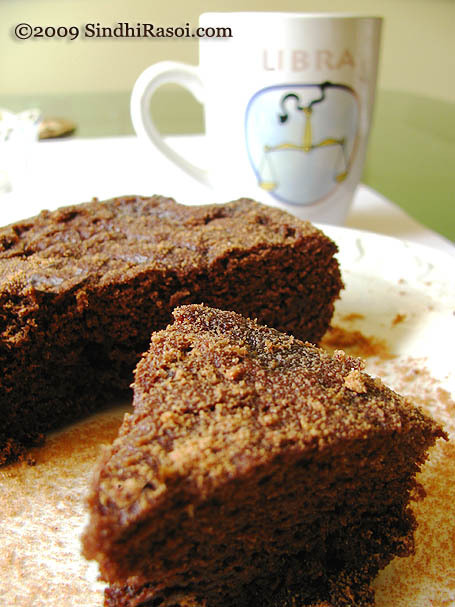 Thanks Ramya for a lovely recipe ! So Enjoy the spread of Chocolate cake, Kesar pista kulfi and Rasberry Jelly, while I wait here for Hubby dear to come back home. Hi Alka..I love your Kulfi..
My wife, not an Indian, is very fond of “Falloda”, thin crinkly Sindhi style.How do you make it? I just want to know where do you stay?????? 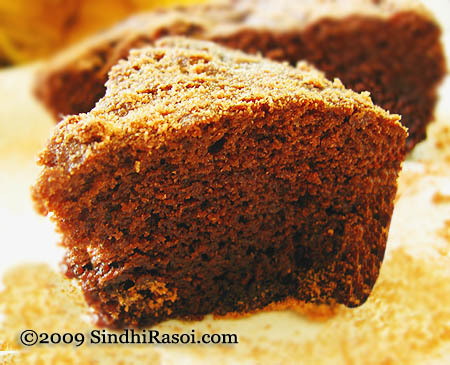 The cake look fantastic dear, i still havent tried baking cakes in pressure cooker, loved the kulfi, slurp!!!! Hey Alka, I have missed your previous posts. Congratulations on the CLICK award! Loved the picture. Wishing you and yours a very happy Diwali. Beautiful post and kulfi looks delicious! I want some of the kulfi – melting and all! Sweet dishes, torture for people like us. Kulfi looks great! Oh btw…I share my bday too on Oct 2nd. Well for now..I will take the visual treat of the yummy spread!! Woow..what a perfect treat on a bday! Wishes to him. 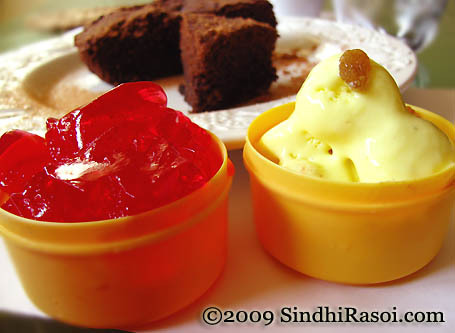 Wow…both the kulfi and the cake look moutwatering delicious!!!! Birthday wishes to yout hubby! Wow…both the kulfi and the cake look moutwatering delicious!!!! hey Alka, Happy Birthday to your Husband. Looks yummy ,the yellow color it looks more like mango Icecream ohh I am so craving for mango ice cream or homemade kulfi. Regarding the pictures, some browsers like google chrome do not load the pictures at most times, I keep having that issue so its the browser not your post/blog. i dont think the packaged cake mixes have preservatives, since they just mix the dry ingredients like maida, baking powder and sugar. we have to add the wet ingredients. Next time I am at a grocery store i shall read the ingredients. Mom used to always bake a cake in the pressure cooker for us when we were kids, I shall ask her for her recipe and send it to you if she still remembers. 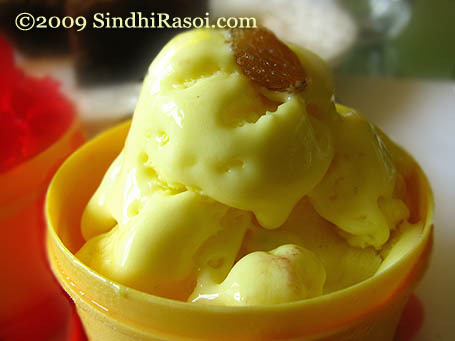 I still have not made ice cream or kulfi homemade, but I want to try soon. Happy belated to your better half. I was not able to see the pictures and thought you knew about the bug with wordpress.So check into that may be that will help you. One more thing I noticed that one time when I logged into wordpress from google chrome and posted a blog it gave me all kinds of x’s and what nots. So had to log on from ie and redo the post all over again. I dont know if this might help you. These are some problems I am going thru and thought sharing might help you too. Cant able to see the picture, anyhow Happy birthday to ur better half.. Sorry Folks, I don’t know whats happening..the pics are there, but sometimes visible while other times not. Can anyone crack this? Oh Alka, the pictures didn’t come on! Could you please upload them again. Thanks. I dont think I have left a comment here before. You have a wonderful blog. Thanks for dropping by Nikita, its always a pleasure to hear from visitors of my blog ! Sorry Alka, I had promised to send you to the pressure cooker cake recipe & didn’t. but that has eggs too. I think zafrani pista kulfi is Waaaaaaaaaay better than cake! I cannot see the picture here, tho’ it showed in the reader. what happened? And c’mmon why the sorry? I know how hard it is to respond each and every query , each and every mail..I myself have some handful of such mails to be replied , but its so hard to keep the track of everything. Happy birthday to your husband, dearie! I can understand your frustration! Just when I thought I could enjoy a long sleep tomorrow morning my daughter tells the school is compensating for the swine flu hols by keeping the school open tomorrow!! I cannot see the pics and the recipe cannot open as blogs r banned here in shanghai. Hi Shivali, nice to hear form you and feel bad about all the issues with pictures…we are working upon it, hope things will get sorted out soon. Each time I see the Pillsbury cooker cake mix I wud want to try it and by 2nd thought will end up not buying it. Seeing urs, I feel I can give a try. Even I’ve a confusion with Oven vs Microwave as mine doesnt have any features n rarely bakes a ud cake! So good to see you back, reading your blog is like an addiction, a nasho as we say in Sindhi. Zaafran Pista Kulfi, well its the fall season (what the Brits called the Autumn) and leaves have already begun to fall, some trees have already shed all their leaves, some are shedding. Some evergreens will remain as they are all winter. So I can’t exactly enjoy the dish except in pictures, I still hope you could teleport it to me so that instead of you I will eat it 🙂 but we will have to wait for the tech people to make this technology available possibly somewhere in Japan. Thanks Surraya, it’s always a pleasure to hear from you as well.